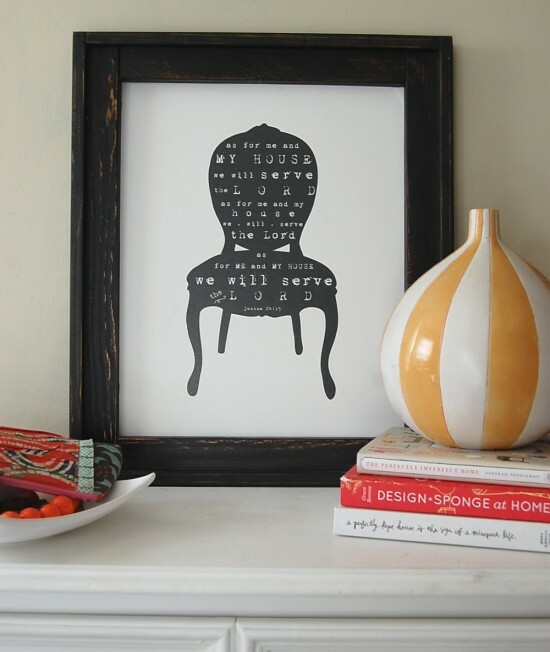 This Jones Design Company print is one of my favorite pins this week on Pintrest. I have got two old black frames and now I know what to do with them and where to put them. This bible verse that is printed across the chair is one that our family lives by. "As for me and my house, we will serve the Lord". My dream desk. For these sluggish cold days when you don't want to leave the house. Goes back to Mr Chad and I trying to get the health kick going in the house. Too bad sports and exercise companies don't give out free samples of treadmills. I'd totally try this one out and give it a review. Perhaps someday, It's on the got to save up for it list. I have got to find the tutorial to make these. I miss my Chick and Hen plants from our old home near Morgantown, WV. 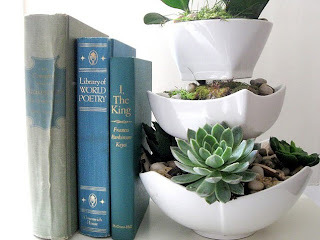 My Home Sweet Home shared this idea, and I had to pin it! Something caught your eye this week or have hold of your heart? I'd love to see it or read about it, please share the link or your thoughts below in the comments section.